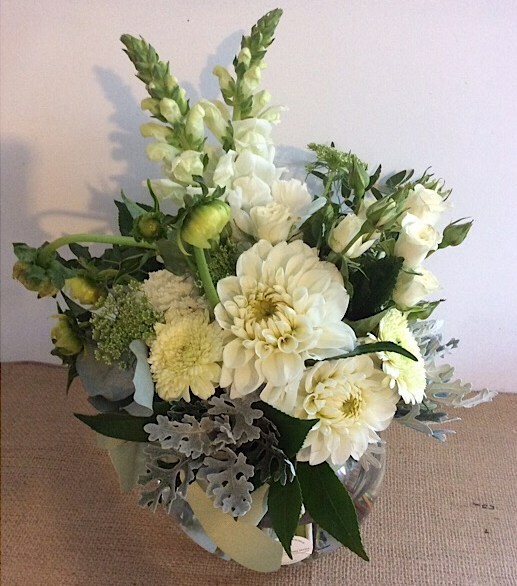 A classic and stylish fish bowl arrangement in white and green. Our florists will choose the best blooms of the day to create your vase arrangement. The arrangement sits around 30-35cm in height and is perfect to dress any table!